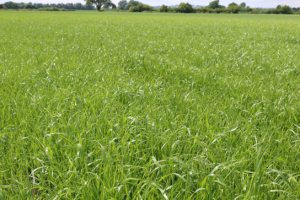 The number of available herbicides for newly sown leys is limited with many grassland herbicide products stating that grass should be “established” i.e. over twelve months old at the time of treatment. Dow AgroSciences’s Leystar and Envy, both new to the market last year, are welcome tools for use in newly established grassland. They both give broad-spectrum weed control, and are very safe to the grass. Leystar can be used at 1.0 L/ha in new sown leys and brings in sow thistle and thistle control. Envy can be used at 1.5 L/ha in new sown leys and will be better on docks generating from root fragments.